Just a week back, we gave you news about the AT&T's announcement of it launching the LG Optimus G on November 2nd. 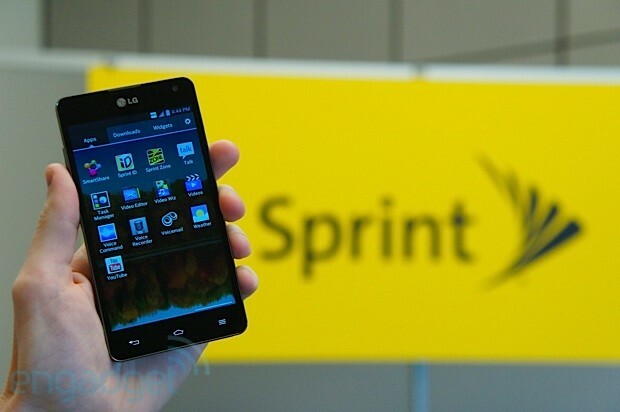 Now, SPRINT is here with its own version of the LG Optimus G and has officially announced that this version will be available for sale from November 11th (pre-orders start online from November 1). Moving on to the specs list, as we all know, The LG Optimus G sports a 4.7 inch-ed HD Display. It is powered by a quad-core 1.5GHz Qualcomm Snapdragon S4 Pro APQ8064 processor with the Adreno 320 GPU running on Android 4.0 Ice Cream Sandwich OS. It is bundled up with 2 GB of RAM and 32 GB of internal storage and also, a microSD Card Slot which supports microSD cards upto 32 GB. Sprint's version has got a 13 MP Camera on its back unlike the 8 MP Camera present in the AT&T's version. It has also got a 1.3 MP Camera up the front which is great for all your video calls. Users will be able to get this smartphone with the carrier's Truly Unlimited 4G LTE Tariff Plan which provides unlimited data, text and calling to any mobile in the US. Sprint's version of the LG Optimus G will be available for purchase through its stores and telesales service as well as online for the same price of $199.99 with a 2 year contract. 0 Respones to "Sprint's LG Optimus G to launch November 11th with 13MP camera"